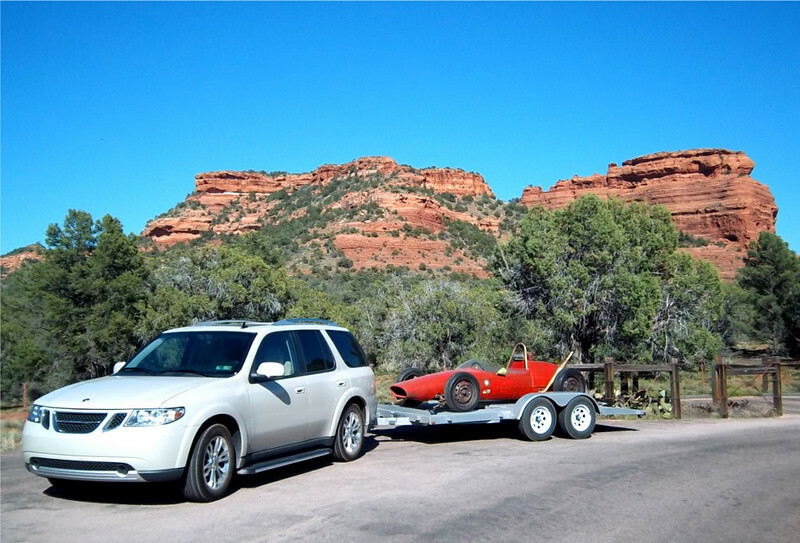 Ryan and Theresa Gamber have recently returned from a trip to California to pick up their new Quantum Formula S. Ryan sent us some photos from the trip and a information about the history of the car. The car's history is noted in the Comments section of Ryan's registry page. Below are the photos he sent from his trip. 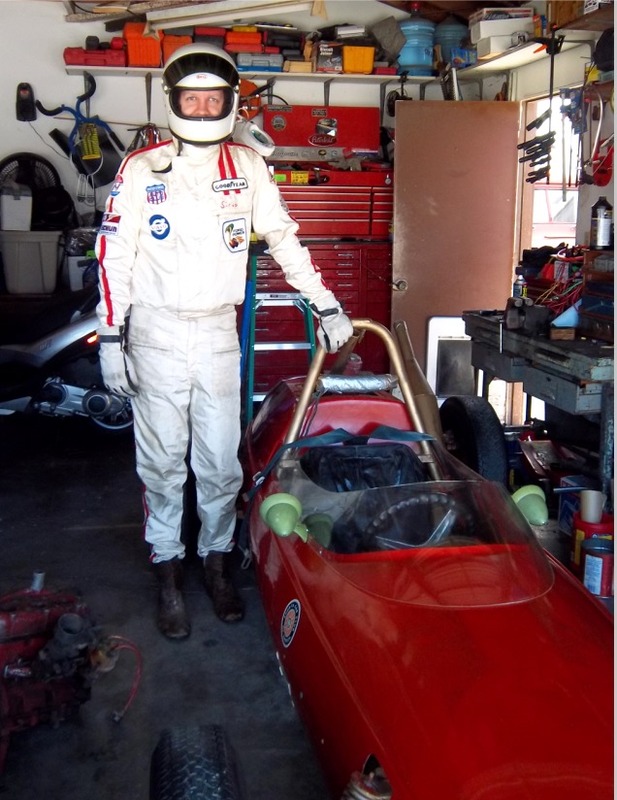 ↑ Ryan in Sirvo's '70's driving suit. 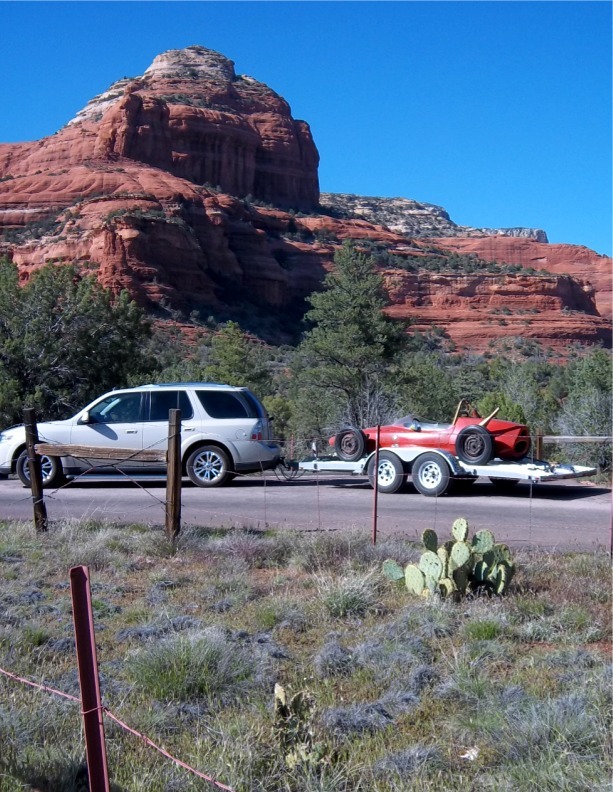 ↑↓ A stop in Sedona. 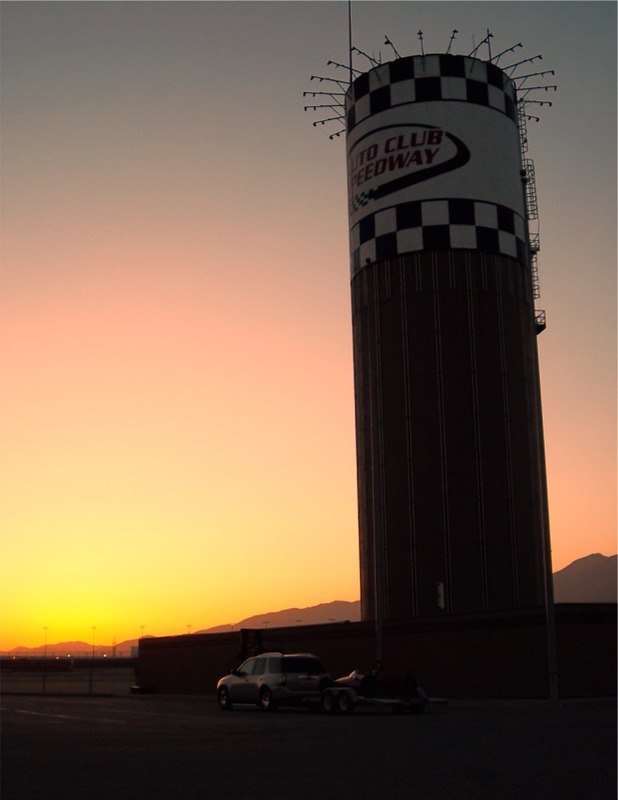 ↓ At Auto Club Speedway in Fontana, CA.